Burwell Dental Surgery is fortunate in being able to accept referrals from external sources for some of dentistry's more complex procedures. We accept referrals either directly from the patient or via a general dental practitioner. He is committed to his professional advancement and was awarded a Master's degree in Endodontic Practice from Queen Mary University of London in 2016. Pratik is focusing his practice on endodontics, and is involved with postgraduate teaching and research at the Institute of Dentistry, Queen Mary University of London and the Royal London Hospital. He performs all endodontic treatments under an operating microscope or high magnification loupes and utilises a wide variety of endodontic armamentarium. He keeps treatments in line with the latest techniques and treatment options by attending professional and scientific meetings regularly. Pratik's kind and caring nature will put you at ease during treatments. Zainab graduated from the University of Nairobi in 1993 and has worked in various government hospitals including Nairobi, Mombasa in Kenya and the Sultanate of Oman. 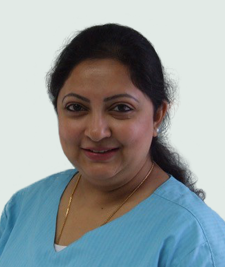 For the past 12 years she has been practicing general dentistry in the UK. 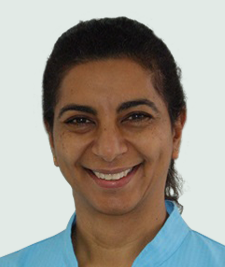 In 2013, Zainab completed a Master's degree in Clinical Dentistry in Oral Surgery at Edinburgh University and until recently was contracted by NHS Cambridgeshire to work as an oral surgeon at Brookfields Health Centre, Cambridge. She is happy to accept referrals from simple extractions to impacted wisdom teeth as well as minor oral surgery. On receiving a referral, we will contact the patient to arrange an appointment for a short consultation. The consultation allows us to meet with the patient and fully assess their needs. We will then discuss treatment and devise a treatment plan specific to them. The consultation also gives the patient time to ask questions and, if they wish, discuss the intricacies of their treatment further. There is no charge for the initial appointment but the dentist may if necessary, need to take an x-ray in order to assess the tooth or teeth further (please see 'Our Fees' for more information) If you can provide any recent x-rays this will obviously reduce the patient fee. Following assessment, we will provide a written treatment plan detailing the number of appointments needed and the costs involved. Patients can then either make an appointment to continue with treatment or take time to consider their options further. Following treatment, we will return the patient back to the care of their regular general dental practitioner, with a written report detailing the procedure carried out.